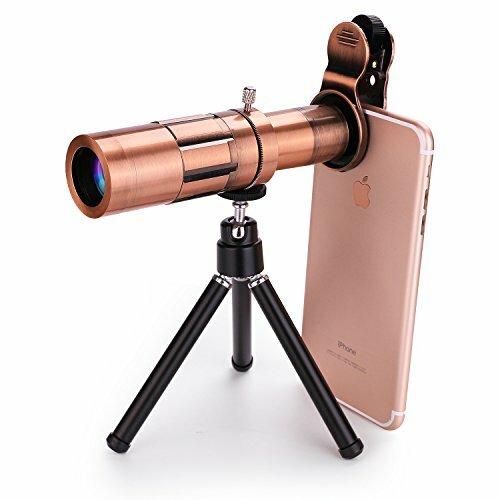 - Using this telephoto lens for taking photo from distance, you will get the clearer photo instead of a blurry image, can make your phone turn into a super telescope. - The glass of the lens is made of high precision optical glass and prism, and each glass inside the lens has a layer of anti-reflective coating, with high transmittance & resolution, low optical distance. The lens is made of high quality aluminum with premium anodizing. What's more, the part of the lens' surface is processed by sandblasting, which makes the lens have delicate texture, beautiful and persistent color. If you have any questions about this product by VONYDA, contact us by completing and submitting the form below. If you are looking for a specif part number, please include it with your message.